AT&T and BlackBerry sure seem to be getting along well these days. 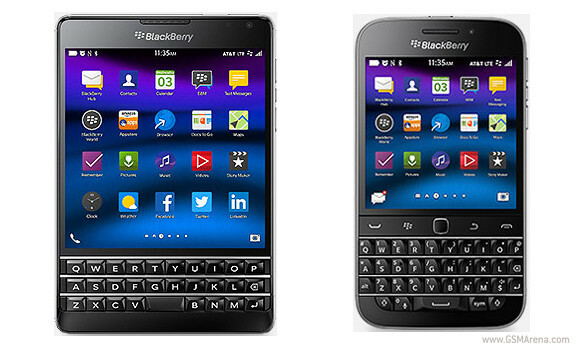 The carrier has once again announced that it will be selling the BlackBerry Passport smartphone. This has happened before, back in September. So far, though, the Passport has eluded AT&T's network. It's bound to land soon, however, and when it does it will be slightly redesigned. Gone are the square corners from the international model, and in are some rounded corners that have been apparently requested by AT&T. BlackBerry complied with that request, which might explain why it's taking so long for the Passport to actually make it to the carrier's stores. The good news is that with the redesign (which changes nothing else about the device except its corners) comes a slightly more affordable price tag too. While last year AT&T said it would sell the Passport for $249 with a two-year contract, that's been changed to a more palatable $199.99. Sans contract, you'll need to shell out $649.99 for one. And you can also get the Passport with AT&T's Next installment plans - opting to pay nothing upfront, then followed by 20 or 24 equal monthly payments. The bad news is that AT&T still doesn't have an actual release date for the device. Apparently we should expect more details "in the coming weeks". The same situation is true for the BlackBerry Classic, which will make it to the carrier "in the near future". At least we have pricing information for this one too. You'll be able to purchase the Classic for $49.99 with a two-year contract, or $419.99 without a long-term agreement. The Next plans are available here as well. Passport gonna my next Blackberry device...can't wait to buy it..
Should move the logo of Blackberry to the bottom below the keyboard, making the screen higher upwards. Should introduce to full qwerty keyboard back to the Passport. It will be the king of smartphones.